If you live somewhere where it gets cold in the fall and the winter and you have a young baby who is still in an infant carrier, than I highly recommen d you buy this car seat cover! The JJ Cole Bundle me is a zipper cover that lines the inside of the carseat and zips over the top, keeping your infant warm and snug without having to go through the trouble of putting a jacket on her. Have you tried putting a jacket on your infant and then placing them in their infant carriers? It is hard and your baby looks all smushed and uncomfortable. The zipper makes it easy to unzip and remove if the weather becomes warmer, only leaving the bottom lining. I have also unzipped the top layer to use as a blanket to lay my son on when I forgot to bring a blanket to lay him on when visiting friends or traveling. I really love this product! I give it 5 out of 5 because it is easy to use, keeps your baby warm, and not to expensive (under $40.00). You can find them even cheaper on Craigslist! My son is 10 months old and I am trying to have him drink independently and not from a bottle. I have had a lot of trouble introducing a sippy cup to my son because he does not know to tip the cup and lift it so that the liquid can flow to his mouth. I have found much better success using a straw cup. At first I tired to introduce the Nuby straw cup, but it is spill proof. Spill proof cups makes sucking the liquid out more difficult. My son’s pediatrician recommended that I use a straw cup that is not spill proof or do a sippy cup and remove the valve (that makes it spill proof) to make it easier for him to drink. I found Take & Toss Straw Cups at Walmart and Target. You can get 5 cups for $2.50. You really cannot beat that. I have been offering this cup to my son for about 3 weeks now. At first I had to hold the cup for him. I put water in it and he would sip from it. Then just this week, I left the sippy cup next to him while he was playing. I noticed him picking it up and sipping water on his own. He drank almost the entire contents of the cup yesterday all on his own. Don’t leak very bad- for not being spill proof they don’t leak that much. The only leaks I have had with the cup is if my son holds it upside down and there is liquid near the base of the straw. My son leaves the cup on its side often and the cup hardly ever drips or spills. I give this cup a 5. My son can drink from it, it is cheap, and spills are minimal. What else can you ask for. 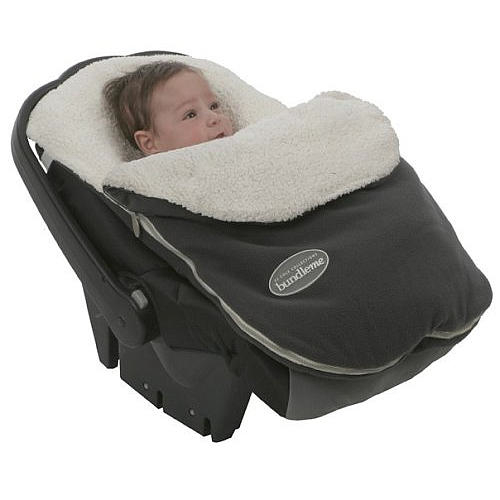 This is a great carseat for infants up to 30 lbs, 33 inches. It will last longer than most infant car seats that are limited to 22lbs, 29 inches. My son was 28.5 inches at 7 months. A normal infant carseat would have been to small for my son already. Infants must be refacing until they are at least one year and at least 20lbs. All infant carseats are refacing so it is good to buy one that will last longer. It has a rounded bottom, so it will not “click” into a shopping cart. This never stopped me from putting the carseat in the shopping cart. I just made sure to not push the shopping cart too fast over bumps and turns. Once your child is about 15 lbs this carseat gets heavy. It is really hard to carry. I bought a snap ‘n go stroller and just placed the carseat in the snap ‘n go frame and it made it easier to transport my son. They are a little pricey ($170 new). However, Babies R Us usually runs 20% of coupons and $20 off carseats frequently. I only gave this carseat a 4/5 because of the high price, weight of the carseat, and it will not click into a shopping cart. Even though I only gave it a 4, I still would buy this carseat again. I have spoken with many friends and seen their carseat, as well as done a ton of research on carseats, and still feel like I made the best decision. I would strongly urge you to buy a snap ‘n go stroller frame if you plan on buying this stroller. It makes quick trips in and out of stores a snap! I am going to review two sound machines that I have purchased. My son is a very light sleeper and we use to live in a condo. The white noise machine has really helped him to sleep better by drowning our all the background noise. If you have more than one kid, than I highly recommend buying one to keep the noise level down while your little one is sleeping and your older child is playing. We are currently using this sound machine for my son. It has two settings: soft and loud. The loud setting is not quite as loud as a box fan, but it is loud enough to mask most of the sounds in our home or condo. The benefit of this sound machine is that it is portable. I can through this in my suitcase or diaper bag if I am not going to be home for his naps or on vacation. The familiar hum of this sound machine has made his naps and sleep in other places by home really great. He has never slept better! We use it all the time and I plan on bying another one for my next child. This is a neat sound machine. I bought it and used it for 2 weeks when our sound machine was getting fixed (I dropped it). This sound machine not only creates a clean white noise, but it has some additional features. It makes the sound of the womb and other nature sounds. It also has a blue nightlight built into it that you can turn off and on by pressing the top. The other neat feature is that you can plug your Ipod into this unit and play a play list from you Ipod. This sound machine has a lot more to offer and is a little cheaper than the Marpac sound machine. The only down fall to this sound machine is that the white noise is not as nice as the one on the Marpac. It is a little more staticy. My son slept fine with this sound machine too. So I believe it is really a matter of preference. I love this mini pack ‘n play. It was great for my Cooper for the first 6 months of life. My little guy is now 9 months old and he is a big baby so he has unfortunately out grown his travel light crib. This pack ‘n play is made my Graco and is a lot smaller and easier to transport than an average size pack ‘n play. I needed a portable pack ‘n play that was easy for me to carry on my own, set up, and break down. This travel light crib was so simple that I could carry my son in one arm and the travel light crib in the other. If my son was not so long for his age (95% height), we would still be using this travel light crib. I used it when I would take him to my bible study, friends houses for play dates, or for dinner parties at other people’s homes. I also used this as a bassinet for him to sleep in when he was a new born. I am only sorry that he has out grown it, but I plan on using it again when ever baby #2 arrives! Where to Buy: I bought my used on Craigslist for $30, but I have seen them retain from $70-120 bucks new depending on the print you choose. I have seen them for sale at Walmart, Target, and Babies R Us. So if you want a new one, check one of those places out! Star Rating: I gave it 5 stars because it was easy to set up/ break down, light, and my son slept great in it. Works well as a bassinet and portable crib!